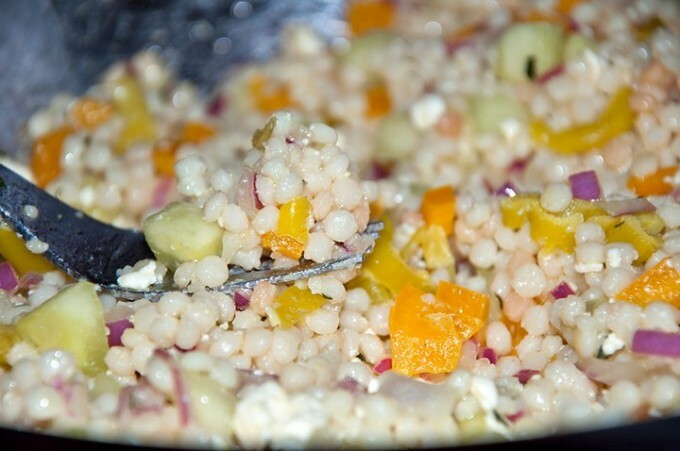 If you’ve never had Israeli couscous, you’re in for a treat. They’re not grainy like traditional couscous and are larger with refined edges. Think tapioca balls, but made of pasta. My minor fixation with the traditional kind has now shifted to these little pearls of pasta . They’re light, pretty on the plate and make versatile accompaniments. Created by our late friend Jeff, this is not an exact recipe of the dish, but my recollection of how it was concocted in their kitchen that evening. Thanks Jeff. You are missed. Sautee garlic and red onion in 2 tablespoons of olive oil over medium heat until translucent. Add couscous and cook until slightly toasted, constantly stirring. Add the chicken broth and bring to a boil. Simmer for about 10-12 minutes until most of the liquid has evaporated and the couscous is soft. Combine remaining vegetables in a serving bowl. 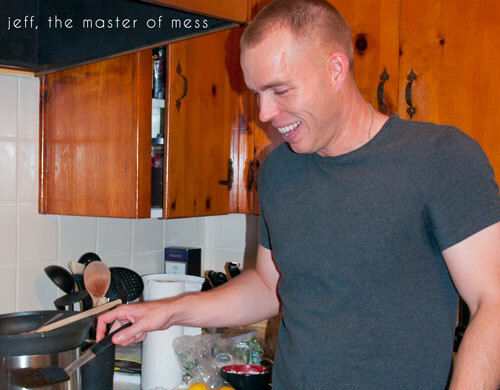 Whisk together lemon juice, red wine vinegar, and remaining tablespoon of olive oil and pour over remaining ingredients. Add cooked couscous to the serving bowl. Salt and pepper to taste.